I just finished Anthony Doerr’s most recent book, All The Light We Cannot See (Scribner 2014). I’ve loved Doerr ever since The Shell Collector, About Grace and Four Seasons in Rome, but this latest novel is nothing short of breathtaking. 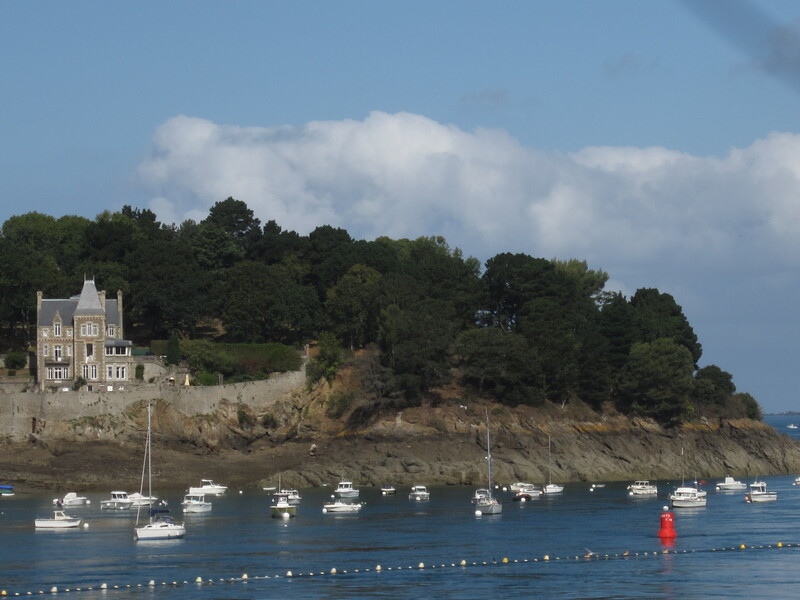 And best of all, at least for me, the novel is set in Saint-Malo, a small fortified town on the coast of Brittany which I’ve had the pleasure to visit. Doerr captures its briny smells and moody seas just perfectly. Doerr has a rare gift. He understands what makes science and nature tick, but he also has the words to elevate them them into art. He can make seashells, snails, rare diamonds and radio waves all seem miraculous. 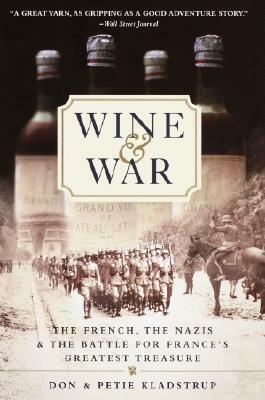 This time Doerr sets his sights on France during World War II, blending history, technology and legend to tell the story of a blind French girl and a young German soldier whose destinies are entwined through the miracle of sound. 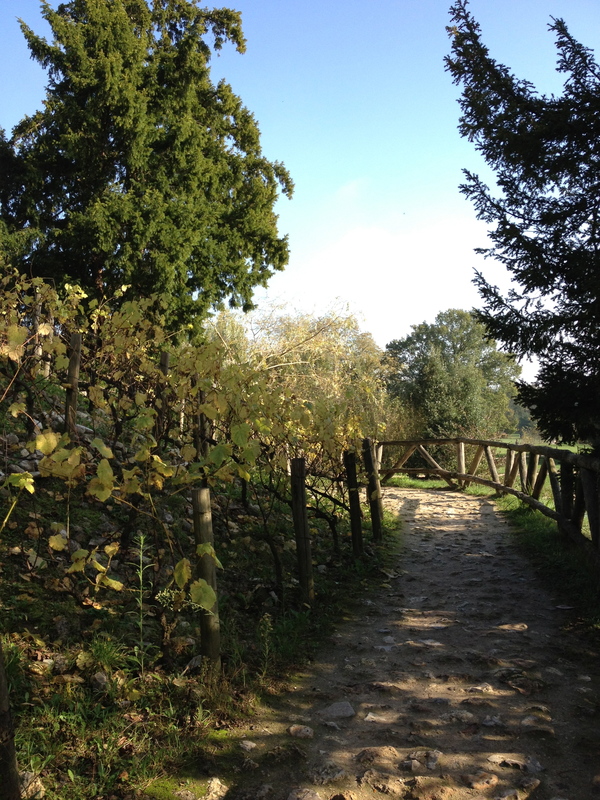 All the light we cannot see. The story is artfully woven. 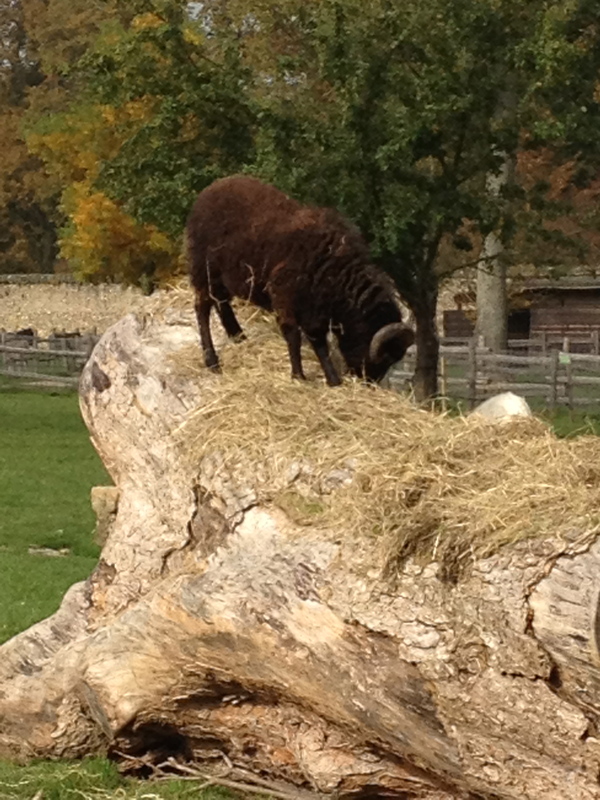 It moves back in forth in time and place, spiraling faster and faster toward its incredibly suspenseful center. 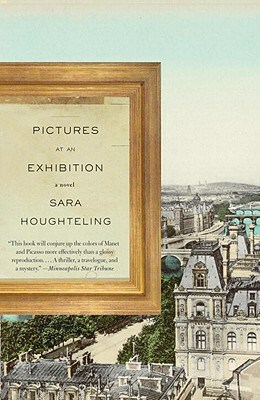 It begins in Paris where a young blind girl named Marie-Laure lives with her devoted father, who is the master locksmith at the Museum of Natural History. She grows up in a magical world of science and cherishes her braille edition of Twenty Thousand Leagues Under the Sea. 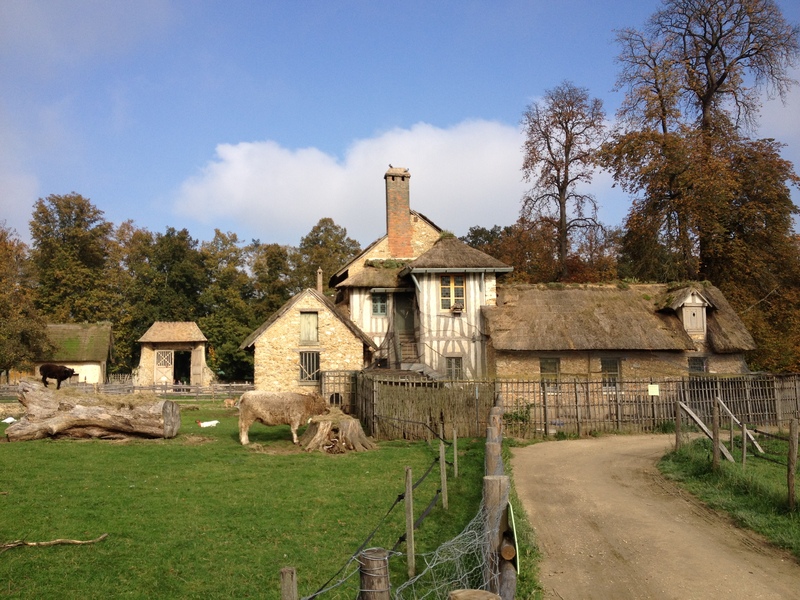 In the meantime, Werner Pfenning begins his own story in a German orphanage where he lives with his sister Jutta. They come upon an abandoned radio out in the trash and Werner plays with it until they hear music — and as Doerr himself would say, “the magic of a stranger’s voice.” Werner dabbles with radios until his aptitude for math and technology (not to mention his snow-white hair and Aryan eyes) earns him a spot in an elite Hitler Youth Academy. Werner becomes an expert at radio transmissions and is drafted into the German army. 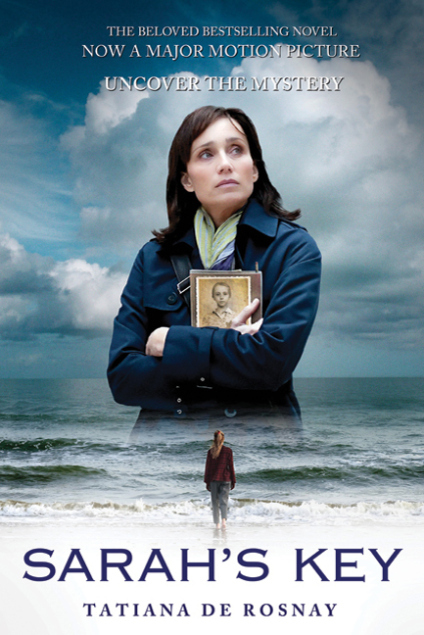 When the Germans occupy Paris in 1940, Marie-Laure and her father escape to the west and are welcomed in by a reclusive great-uncle who lives in an old house on the sea in Saint-Malo, Brittany. 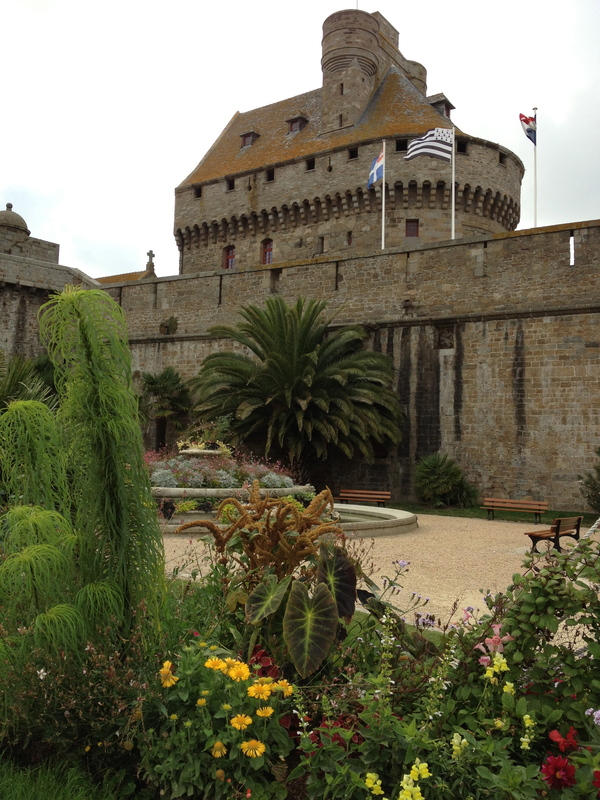 The Germans quickly take over Saint-Malo as well, and it becomes a natural German stronghold with all of its medieval ramparts and old stone fortifications. The Germans rule the little town with an iron fist. 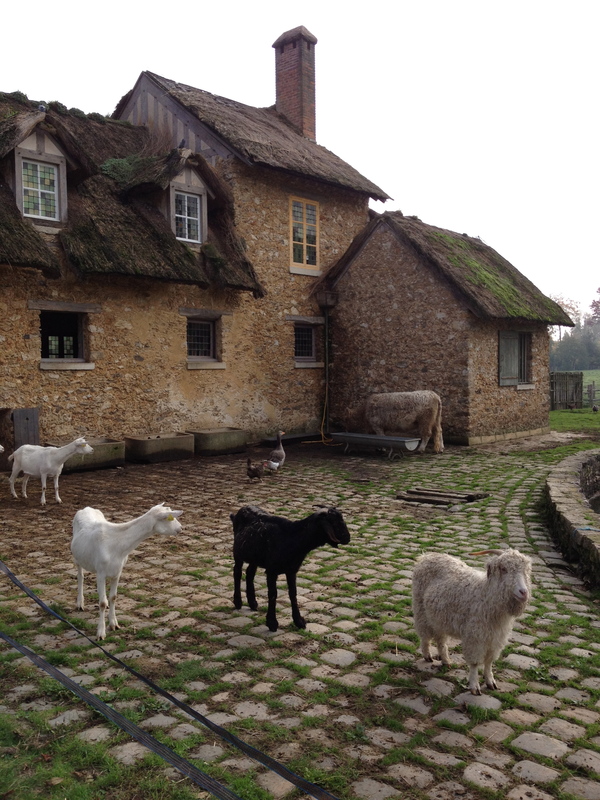 Little do they know that Marie-Laure’s great-uncle has a secret radio transmitter in his attic. 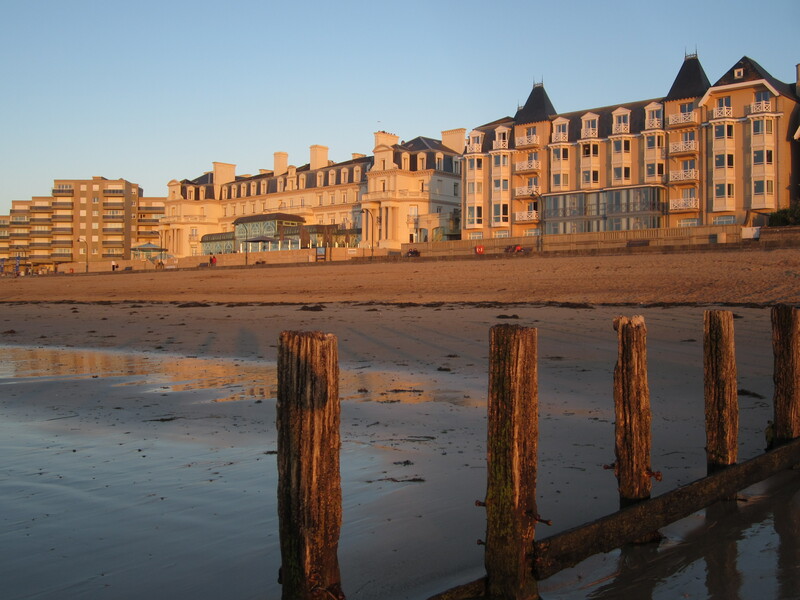 In this video, Doerr tells us about the inspiration for his novel and his decision to choose Saint-Malo for the setting. 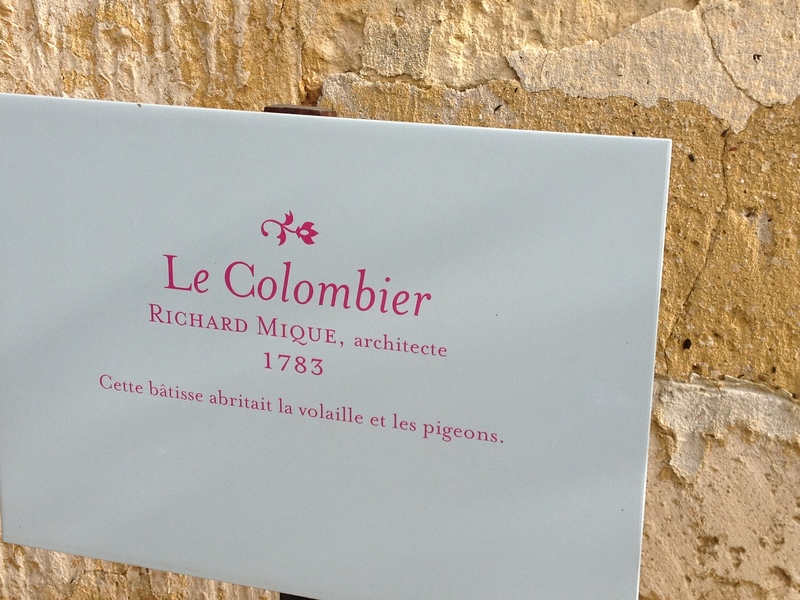 Apparently he was traveling through France on a book tour and found himself in the lovely town of Saint-Malo. 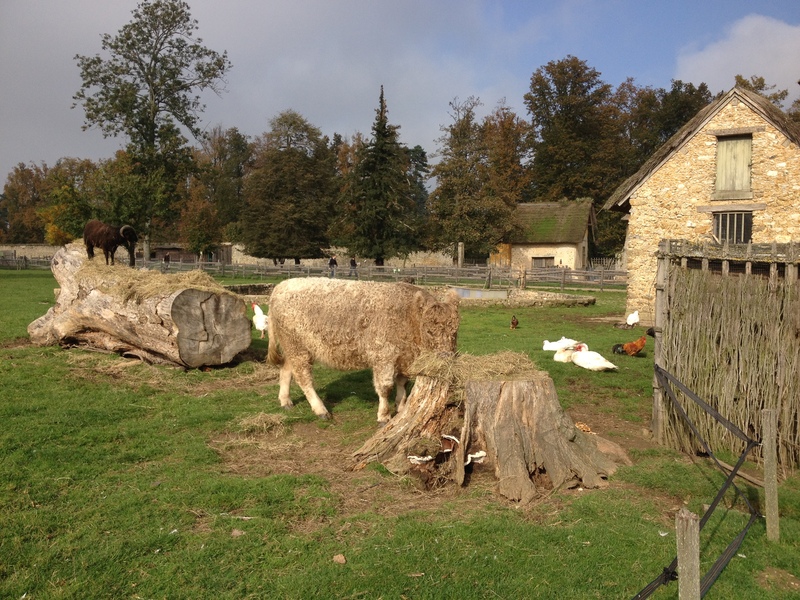 Like me, he had no idea that the town had nearly been destroyed by American bombs during the liberation of France in 1944. 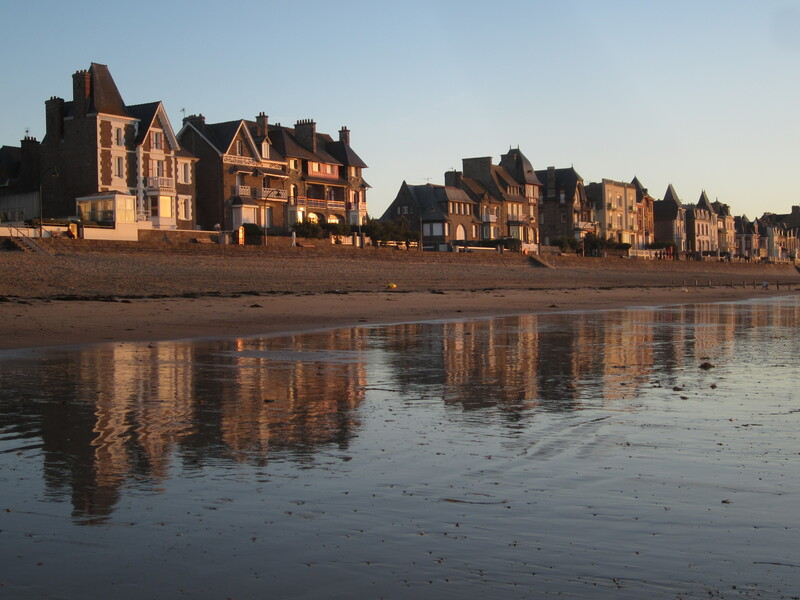 But most of all, take an afternoon to stroll through the same Saint-Malo streets as the brave young Marie-Laure. 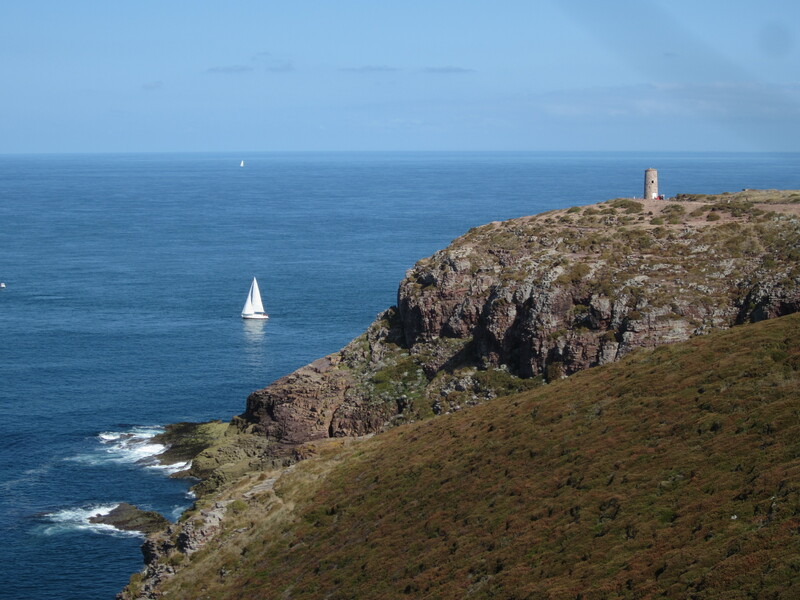 Walk along the windswept ramparts, enjoy the fabulous seafood, and then maybe stop in a boulangerie and order a baguette. And just in case, check inside the baguette in case there’s a secret slip of paper from the French resistance. . . .
Porte Saint-Thomas, Saint Malo, France. 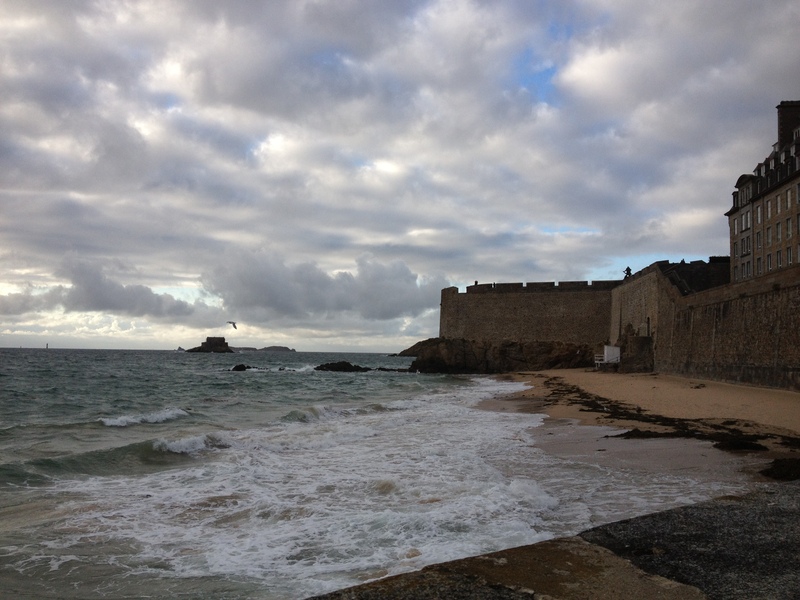 Saint-Malo sea ramparts with Fort National in the background. 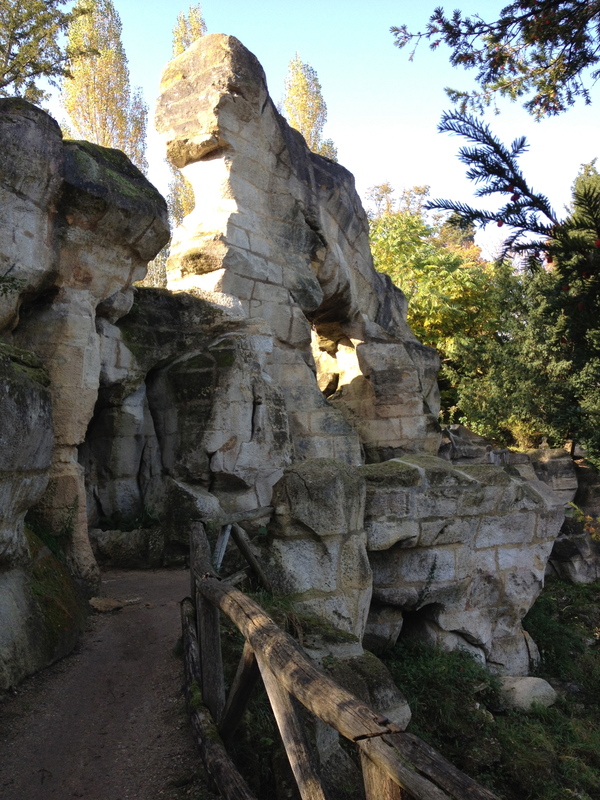 Marie-Laure’s uncle Etienne is arrested and imprisoned in Fort National at the end of the German occupation. A stray American shell hit the Fort on August 9th, killing 18. Etienne is there. 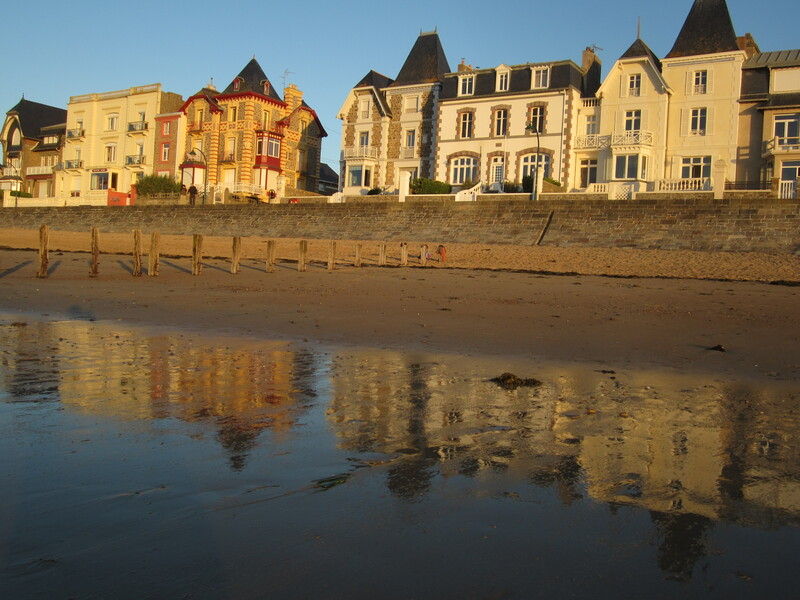 The houses of Saint-Malo reflect their golden light onto the wet beaches as the tide recedes. 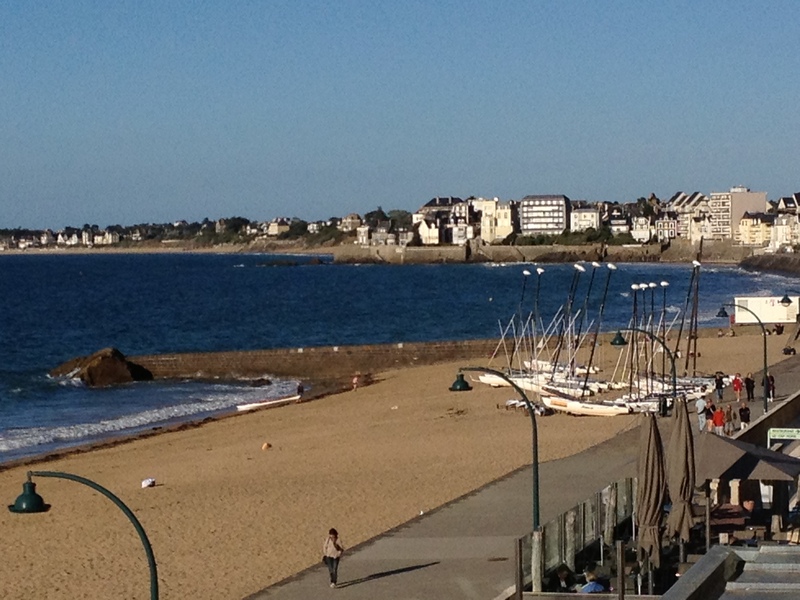 I didn’t know at the time that much of Saint-Malo had to be rebuilt after the war. 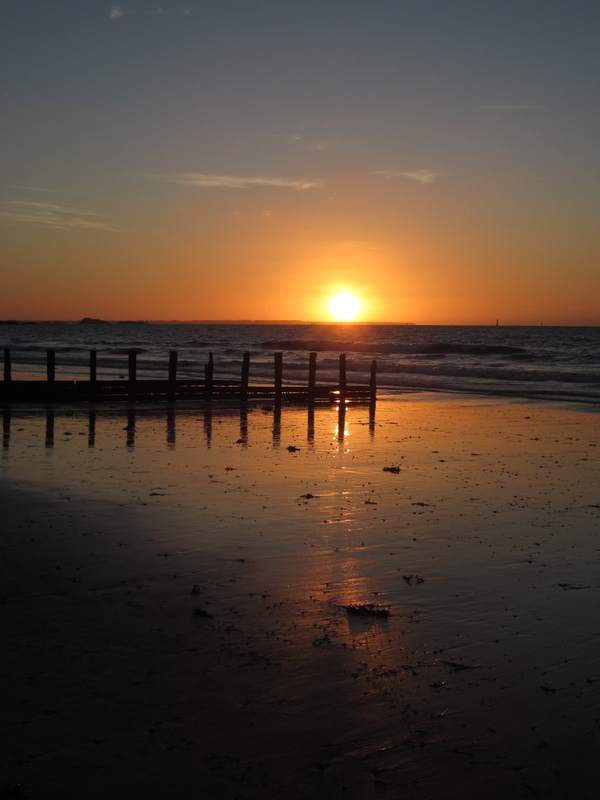 Saint-Malo sunset in more peaceful times. 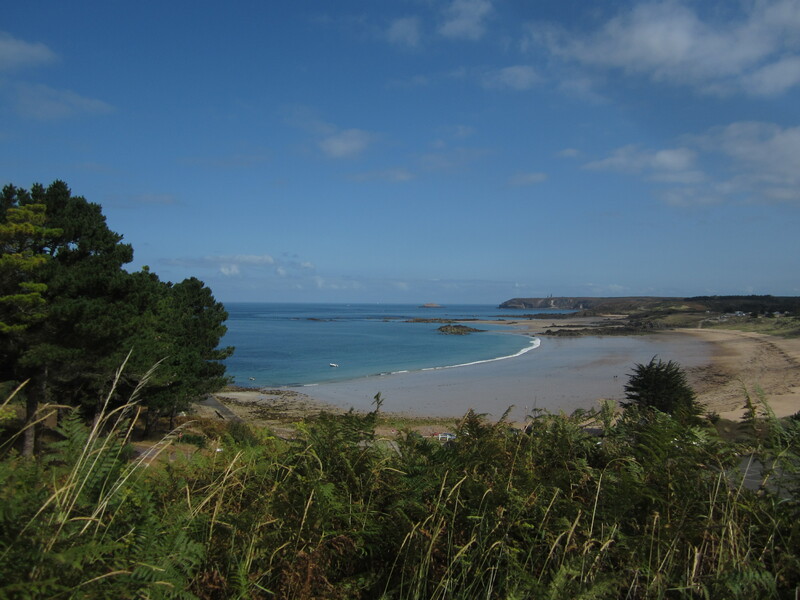 If you have time, the drive west from Saint-Malo to Cap Fréhel is magnificent. 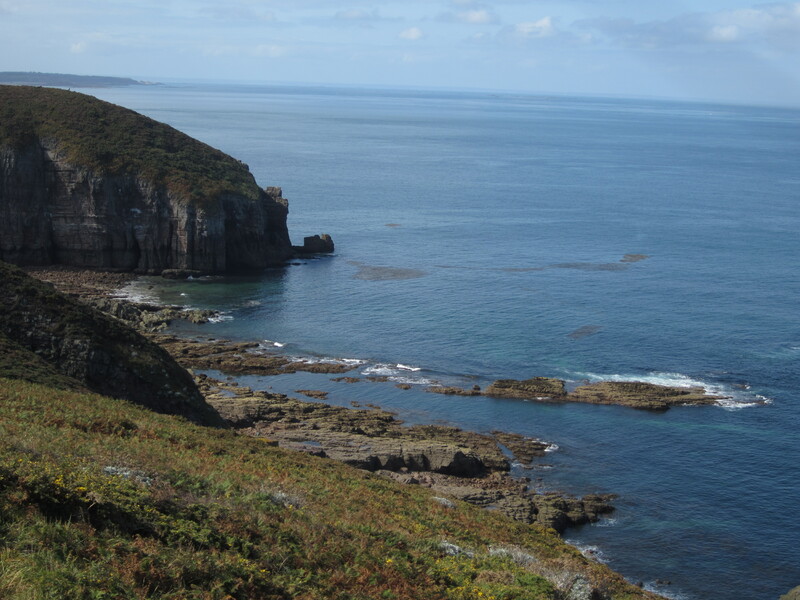 Cap Fréhel, France, which was also occupied by the Germans in World War II. 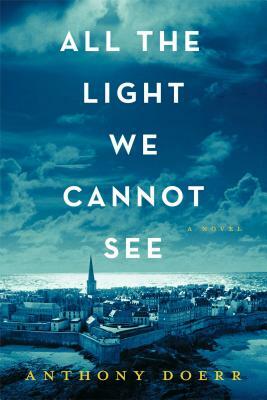 All The Light We Cannot See by Anthony Doerr: Most highly recommended. I’m serious, it’s knock-your-socks-off good. 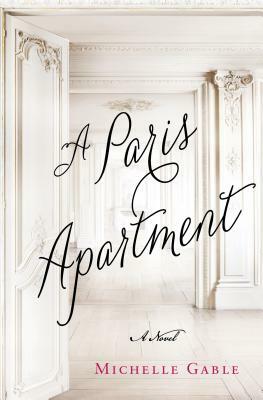 I’ve got a new Paris art novel for you: A Paris Apartment by Michelle Gable (St. Martin’s Press 2014). It all began with an amazing but true story of a long-lost Boldini portrait of a woman named Marthe de Florian, pictured below. Madame de Florian by Giovanni Boldini (1888), private collection. 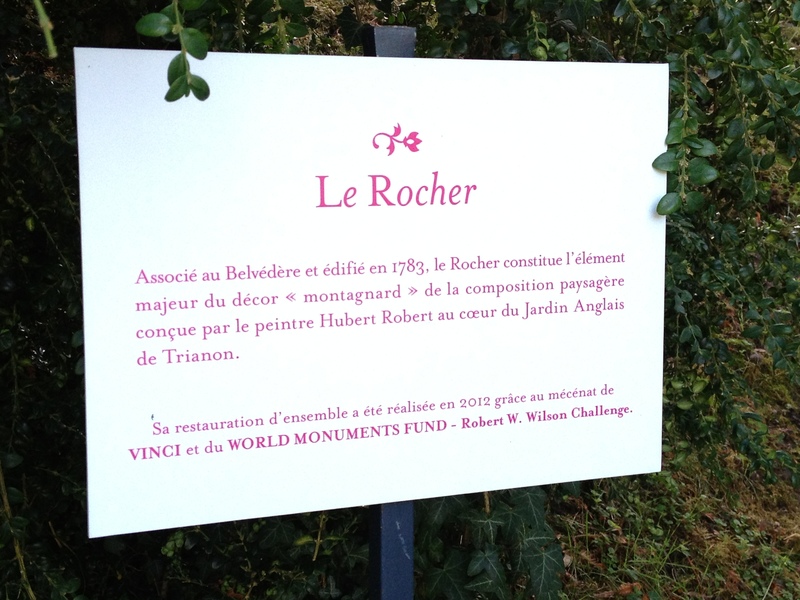 Sold for 2.1 million euros at a Drouot house auction in September, 2010. In 2010, the London Telegraph reported the fascinating true story about an abandoned Paris apartment. 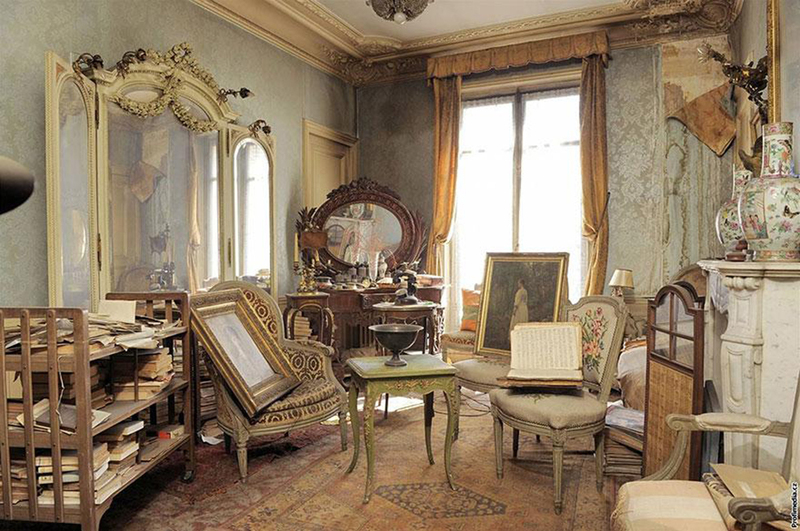 When estate representatives entered the dusty apartment, it had been untouched for 70 years. 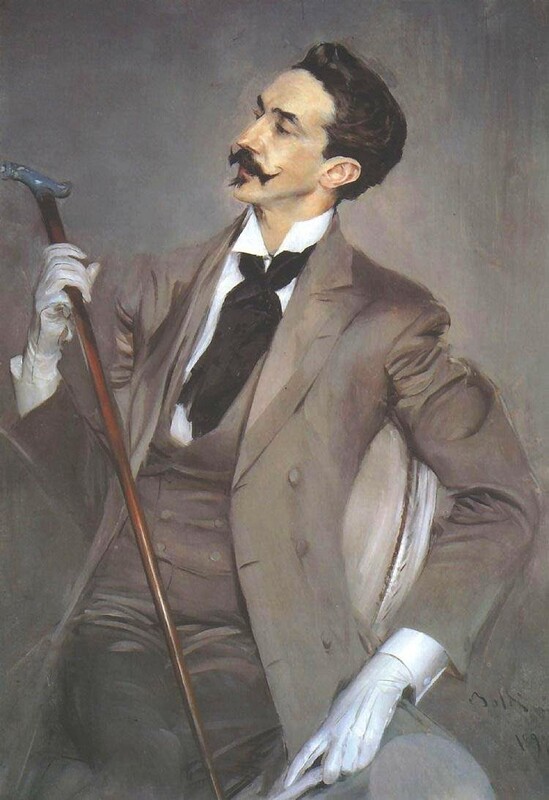 They discovered roomfuls of antiques and what appeared to be a previously unknown portrait by the Italian painter Giovanni Boldini. It turns out the woman in the portrait was Marthe de Florian, who had lived in the abandoned apartment back in the 1890s. 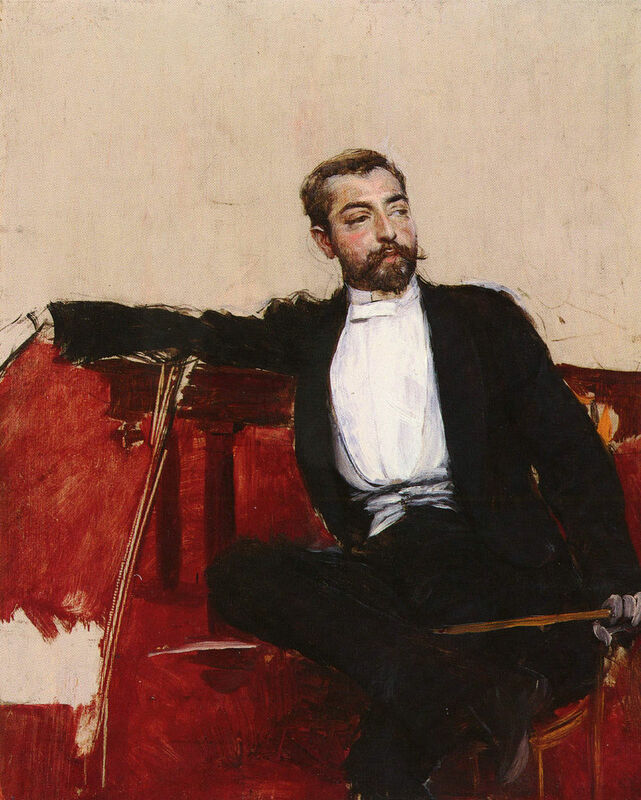 A love letter from Boldini to de Florian confirmed the painting’s provenance and a record-setting auction followed. 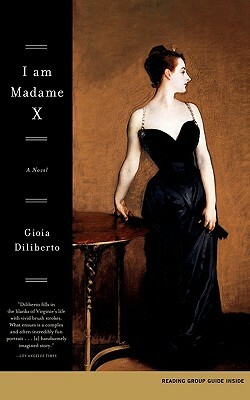 This book brings to mind one of my favorite art history novels, Gioia Diliberto’s I Am Madame X, which told the story of the woman behind John Singer Sargent’s infamous painting. 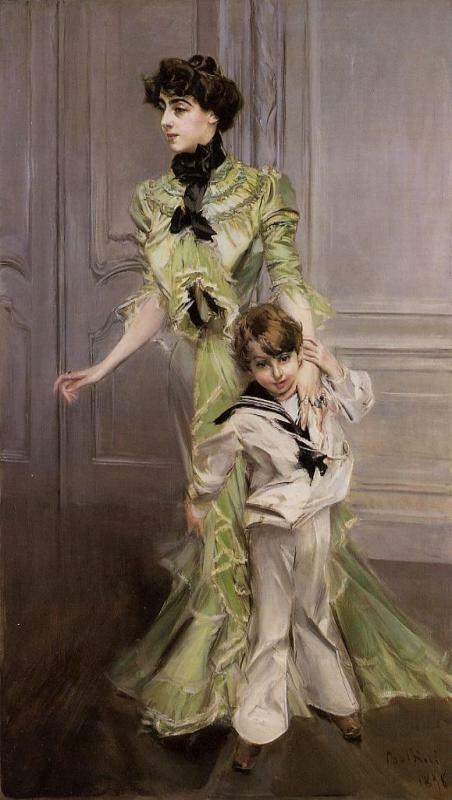 I’ve blogged about that book, that painting, and John Singer Sargent’s years in Paris here. 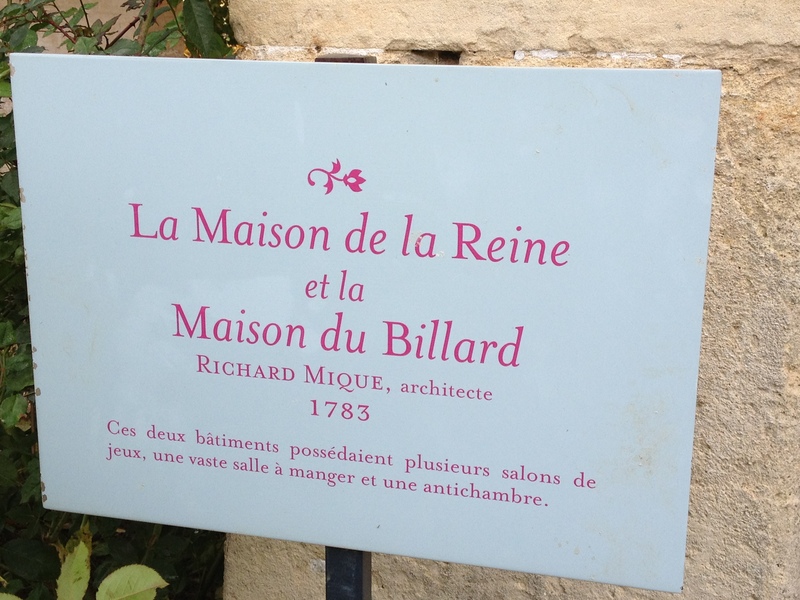 But who was this Madame de Florian? 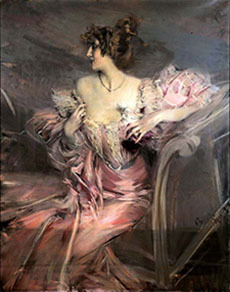 We know that she was an actress and demimondaine who modeled for Boldini in a scandalously seductive pose. She lived in a lovely Paris apartment in the 9th arrondissement. 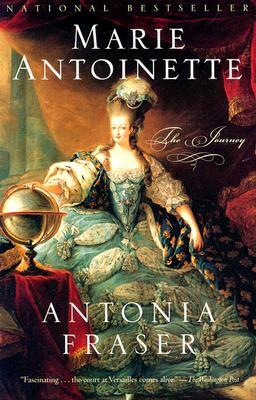 She had at least one descendant who lived in the south of France and who cared little for the remnants of her grandmother’s life. But the limited information available about her just makes you want to know more. 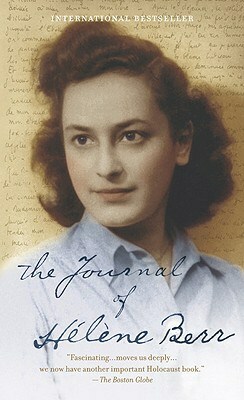 Wouldn’t it be great if she had left behind a diary, telling us the secrets behind this mysterious life? 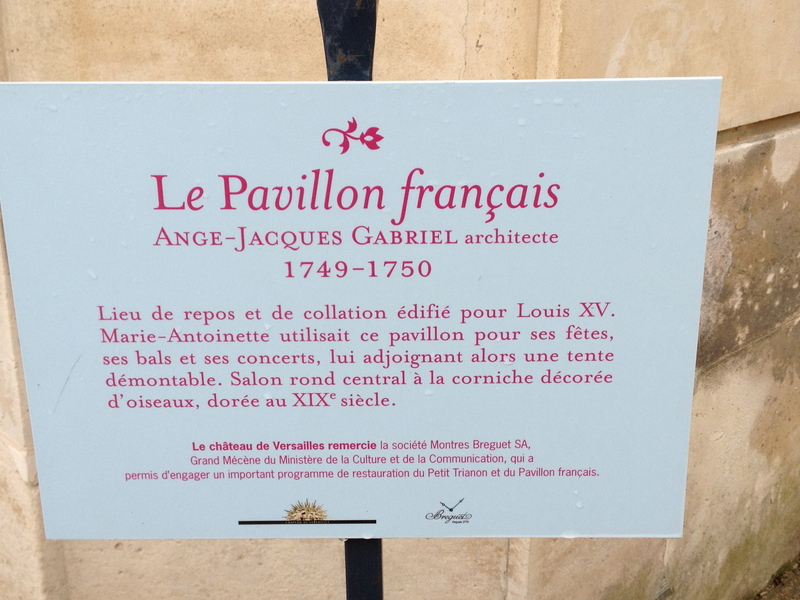 Thanks to Michelle Gable, that’s exactly what we get in A Paris Apartment. Marthe de Florian’s fictional diaries are rich, engaging and completely alive. 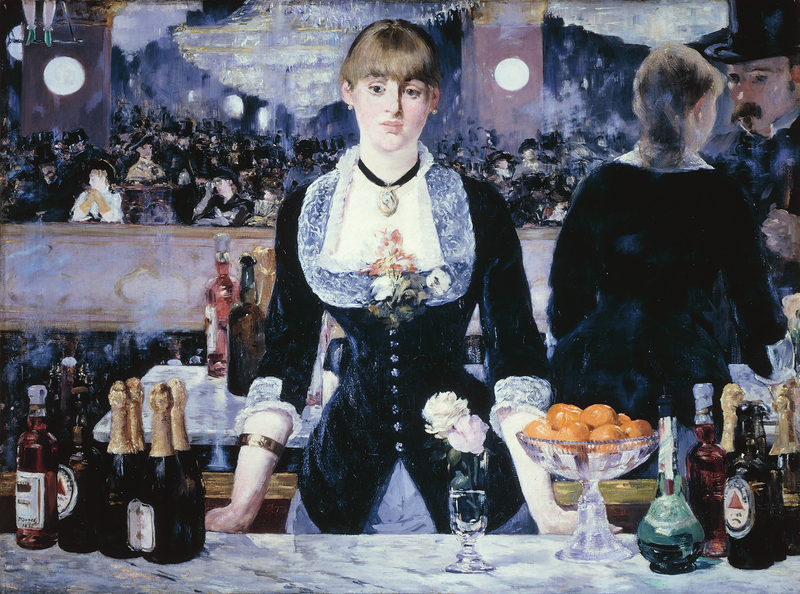 Gable conjures up a woman who started as a bartender at Les Folies Bergères (I couldn’t help but picture her just like the bartender in Manet’s famous painting, including the dress and the jewelry). It was well known at the time that many of these bartenders were semi-prostitutes who supplemented their earnings at the bar with gifts and income from their customers. 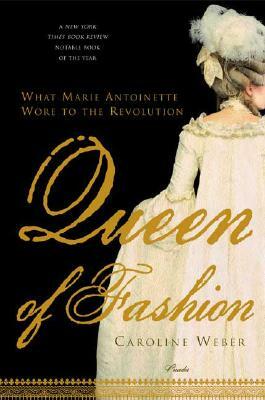 Michelle Gable’s Marthe de Florian knows just how to target the wealthiest customers, and soon she is living in a grand Paris apartment and wearing the most fashionable clothes. 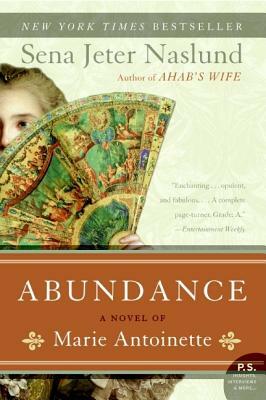 Michelle Gable’s Marthe fully enjoys the demimonde lifestyle, sipping beer or absinthe with bohemian artists, writers and dandies, including Boldini, Singer Sargent, Proust, Zola, Dumas and the Count de Montesquiou. We even have an appearance by Victor Hugo’s granddaughter Jeanne. 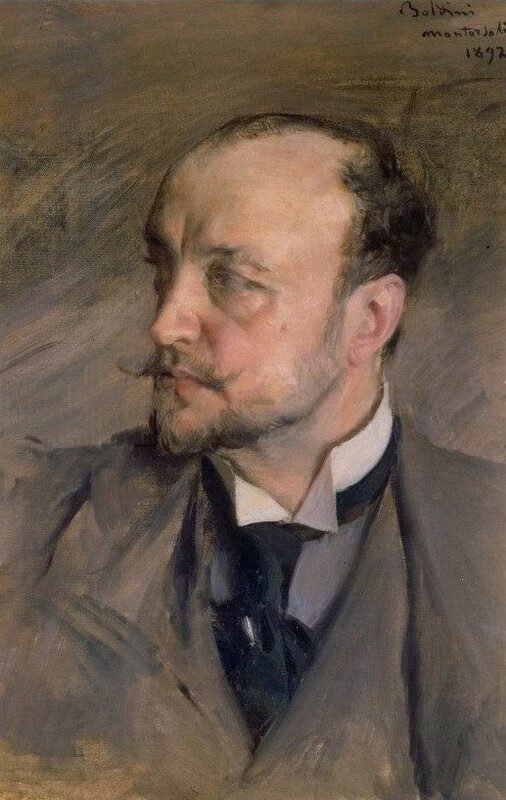 Like Marthe de Florian, many of these real-life characters posed for Boldini portraits, including de Montisquiou, Jeanne Hugo and Singer Sargent. 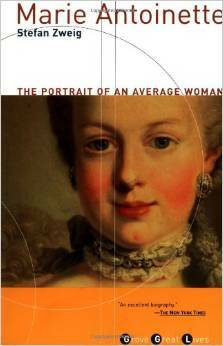 A quick look at each of these portraits can really add to your enjoyment of these historical passages of the book. In addition to the story of Marthe de Florian, there is a parallel modern-day story of April Vogt, an American furniture expert from Sotheby’s who is called to Paris to help prepare the contents of the apartment for auction. 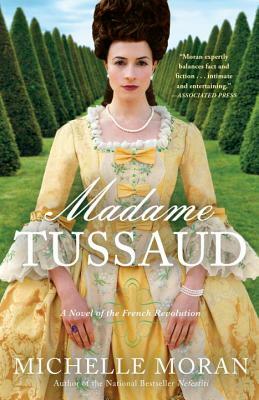 Although these chapters might feel a little “rom-com” predictable to some, they offer fascinating insights into the world of art world auction houses and estate sales, and add another layer of interest, romance and fun Paris scenery to the novel. One of the highlights is when April attends a traditional bal des pompiers (Fireman’s Ball) with an attractive French lawyer on the night before Bastille Day. I’m picturing the movie trailer already! I couldn’t wait to get my hands on this book. I mean, just look at that cover. So hard to resist for a lover of all things Paris. 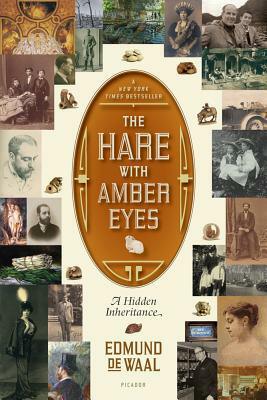 But I have to admit, the charms of the story resisted me for nearly 200 pages. While the structure of the book makes it feel as if it was enormously fun to write, it makes it quite a challenge for a reader to slip into. 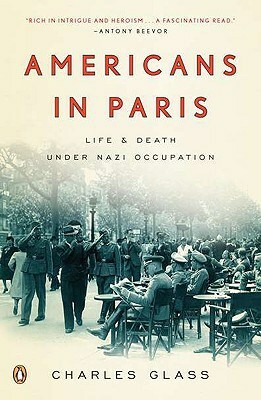 It is the story of a band of friends, acquaintances, enemies and lovers in Paris in the 30s and 40s. Their story doesn’t unfold, it demands that you piece it together for yourself, like a 2,000 piece jigsaw puzzle of a Picasso painting. 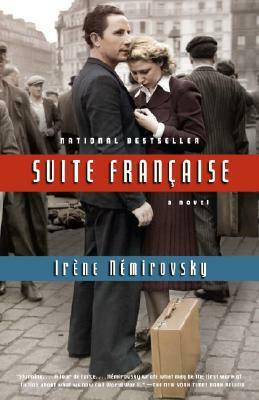 You hear the discordant voices of a number of strange and lively characters, from a Hungarian photographer named Gabor (modeled after the true-life Brassai ), an American expat writer (à la Henry Miller), a French baroness married into the Rossignol car dynasty, a French language teacher named Suzanne who works for the Resistance, and then most bizarrely of all, the alleged great-niece of a character named Lou Villars, a lesbian race-car driver, German spy and agent of the French Gestapo (a stand-in for the real-life Violet Morris). Yes, there’s a lot on the plate. 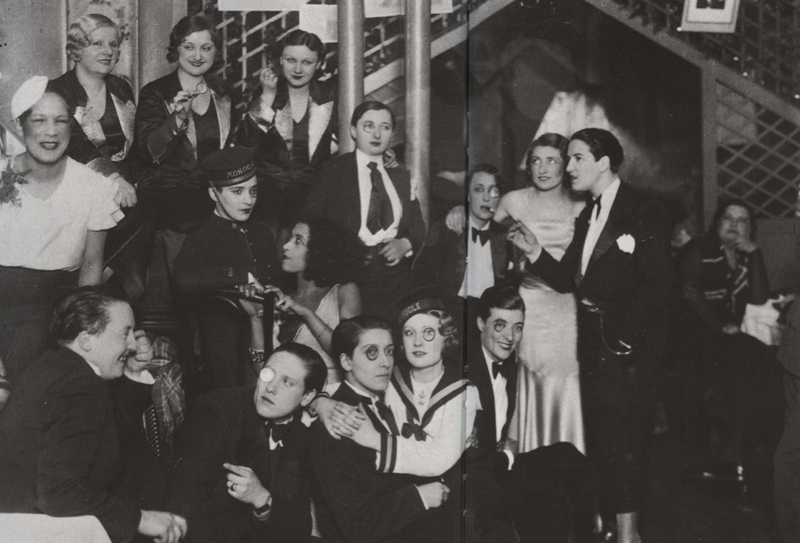 The characters are all drawn to a fictional Chameleon Club in Paris, a free-wheeling 1920s-40s era nightclub with singing acts by cross-dressing sailors and mermaids, men in drag, women in tuxedos, and an owner named Yvonne who parades around with a pet chameleon on her shoulder. 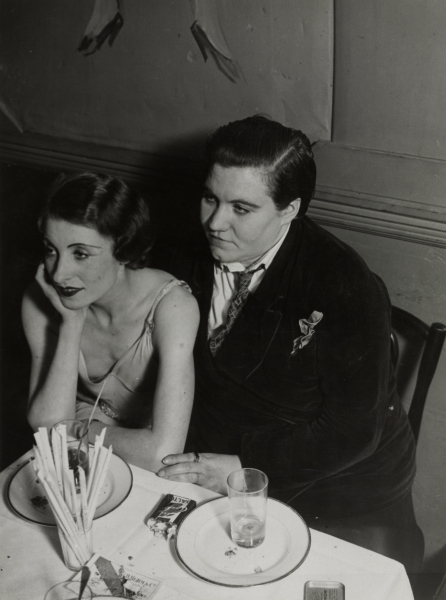 When Gabor takes a photo of Lou Villars and her lover Arlette at the club, it is a clear shout-out to Brassai’s Lesbian Couple at Le Monocle, 1932 (Cleveland Museum of Art Collection). The fictional Chameleon Club is the perfect setting and a revealing title for a book about people who cross all sorts of lines in all sorts of ways. Especially when war comes. 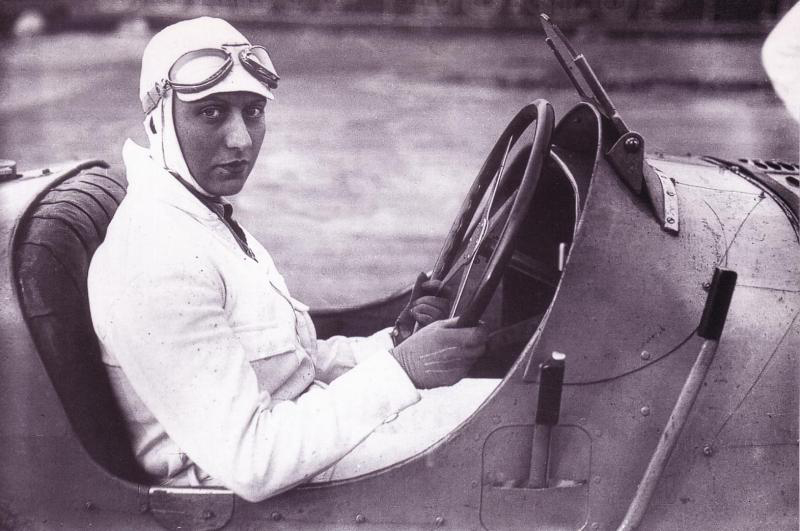 The stories about Lou Villars continue, and by now, you don’t care who’s narrating or why. 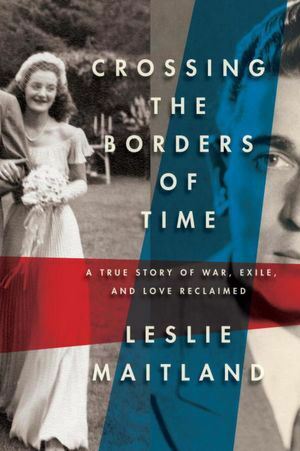 You’re hooked into hearing about how the good people of the Chameleon Club endured and resisted the horrors of the Occupation, and how people like Villars could possibly rationalize the evils they perpetrated. 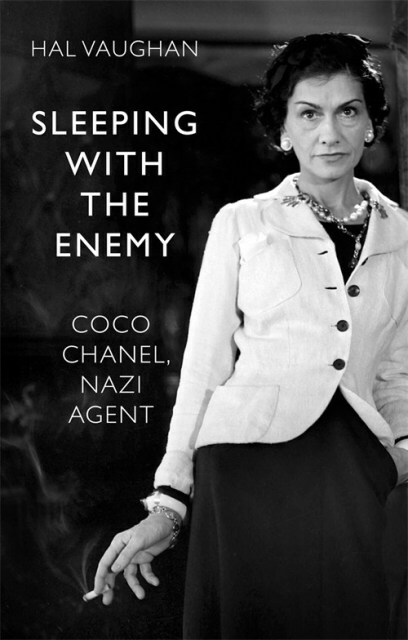 We learn that Lou Villars (and in turn, the real Violet Morris) may have been involved in the Vel d’Hiv’ Round-up of 1942, and then became an agent of the French Gestapo, known for her violent interrogations of French resistance workers. Which would all be terrific fiction, but is actually based on the true story of Violet Morris. Lou Villars becomes a notorious interrogator with the 93 rue Lauriston Gang, a group of French Gestapo gangsters who have been the subject of many books and films, including Louis Malle’s 1974 film, Lacombe Lucien and the 2004 television movie 93, rue Lauriston. 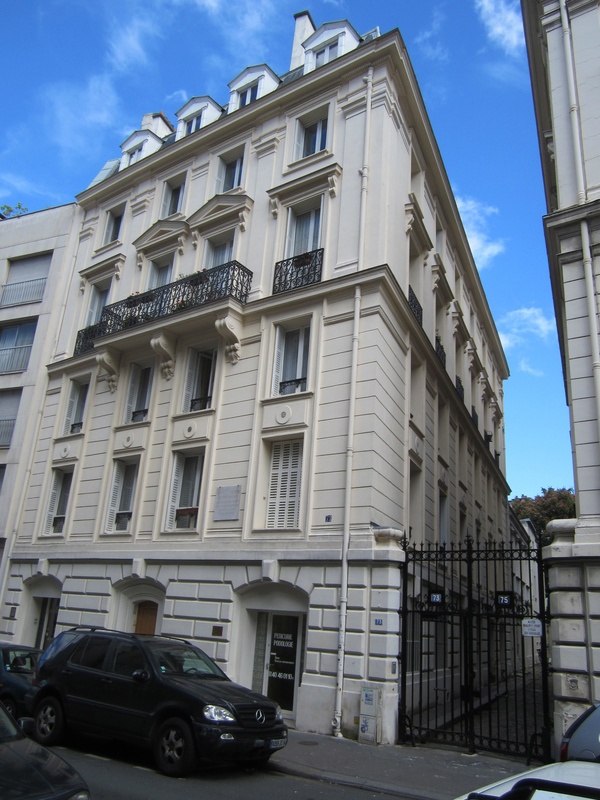 The gang’s headquarters were located on a quiet little street in the 16th arrondissement of Paris. 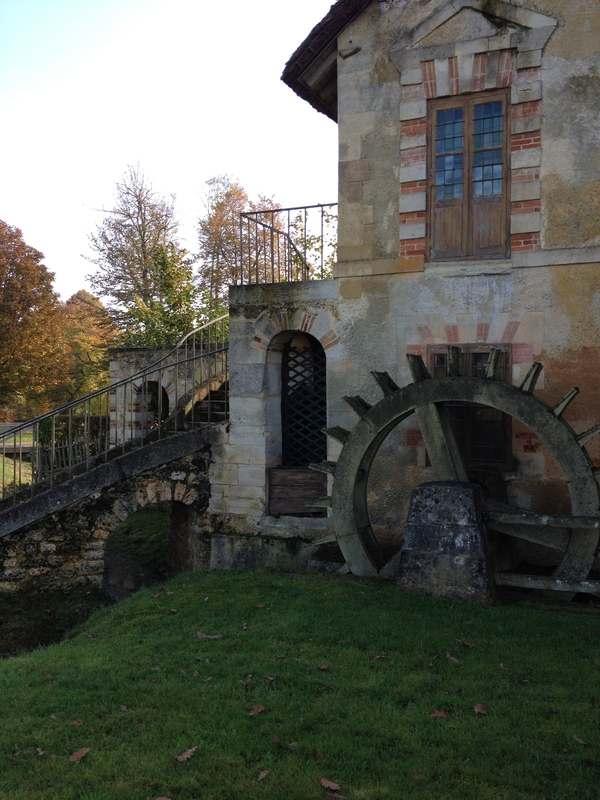 Lou Villars conducted her interrogations in the cellar of their building. 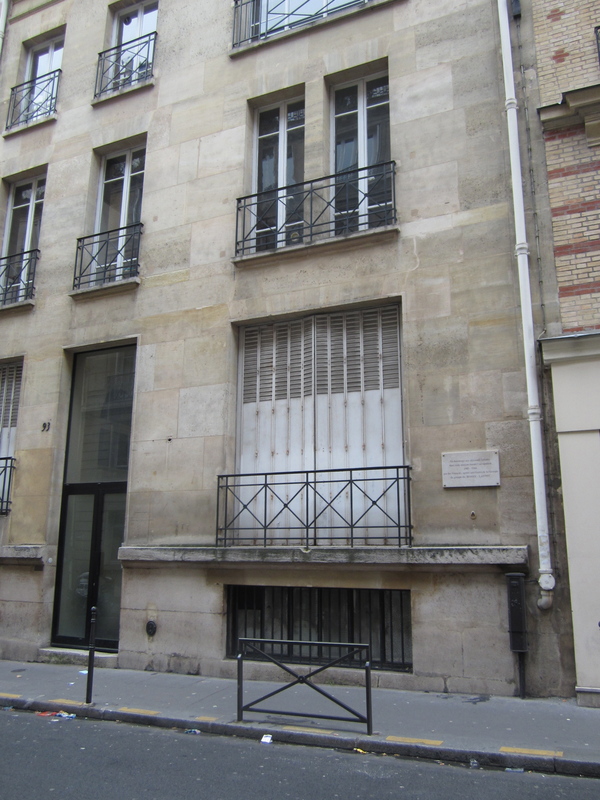 I first spotted the plaques for 93 rue Lauriston on my frequent walks through my old neighborhood in the 16th. 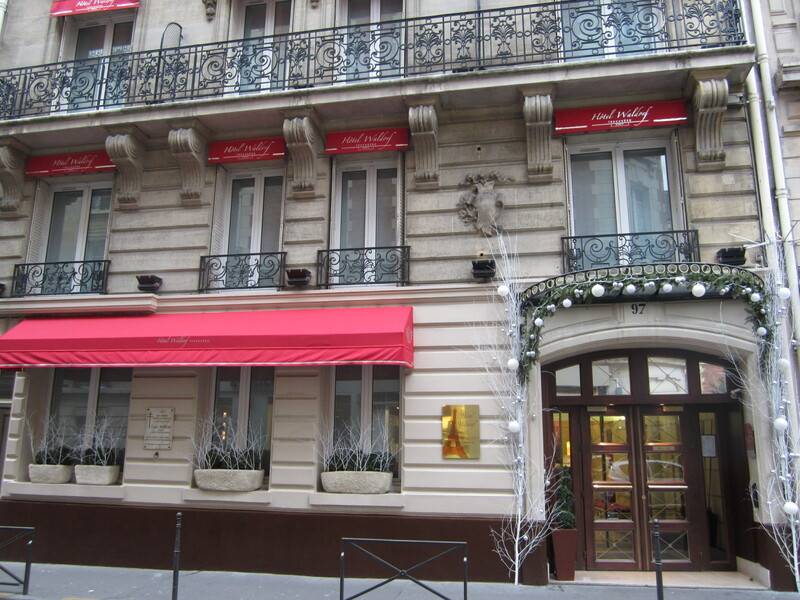 In fact, the address was just across the street from one of my favorite boulangeries. I took photos of the plaques and went back to learn more about the horrible history of this neighborhood. 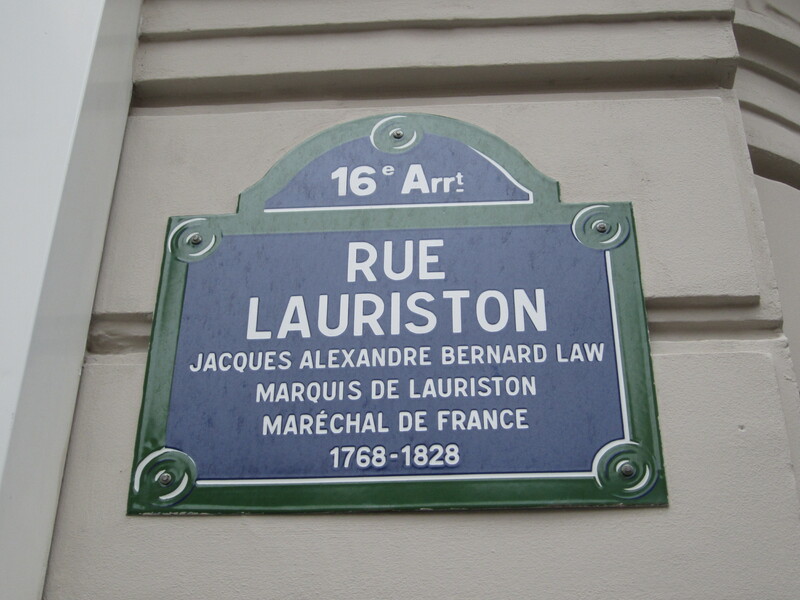 At 97, rue Lauriston, where a lovely boutique hotel now stands, there is a plaque commemorating one of the heroes who died trying to liberate the Quatier Lauriston. 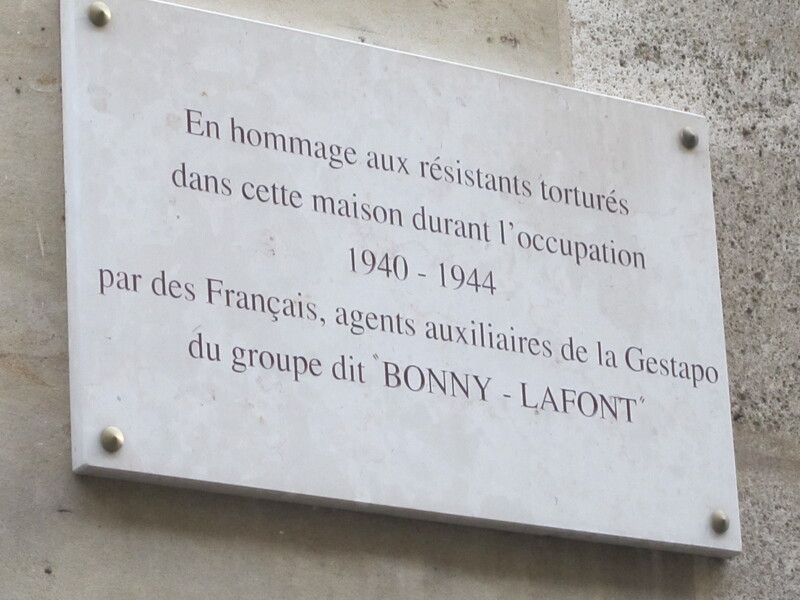 The hotel is just a few doors down from the French Gestapo house. 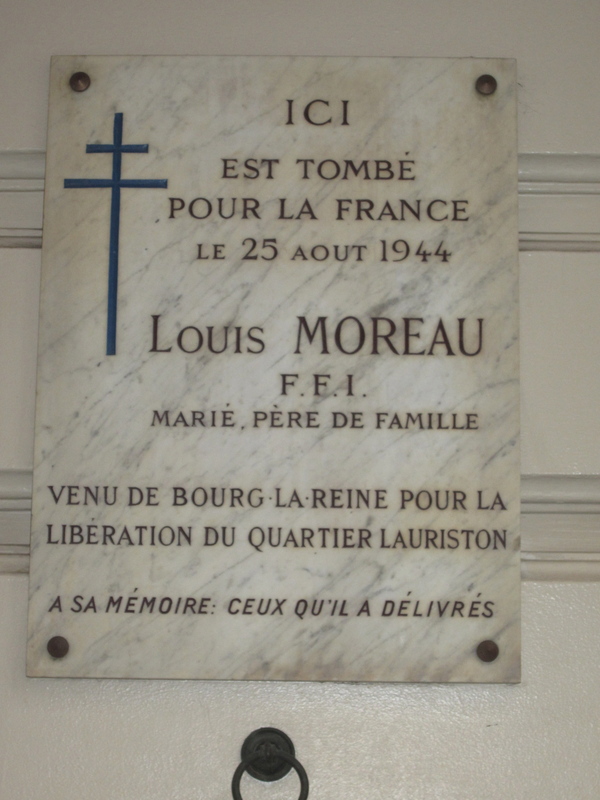 The plaque at 97 rue Lauriston: Here Died For France, August 25, 1944, Louis Moreau, FFI, Married, Father of his Family, Came from Bourg-la-Reine for the Liberation of the Quartier Lauriston. In His Memory: Those He Delivered. 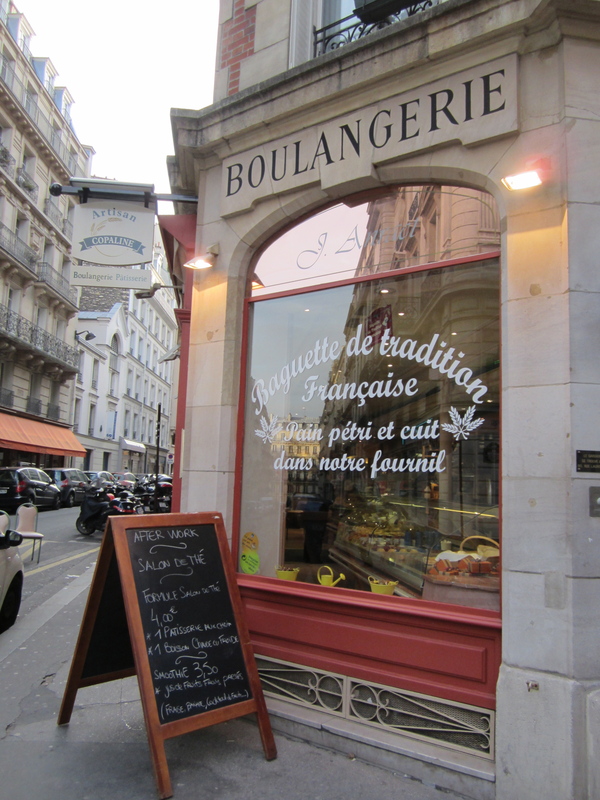 Here’s my favorite little rue Lauriston boulangerie, which is just across the street from 93 rue Lauriston. 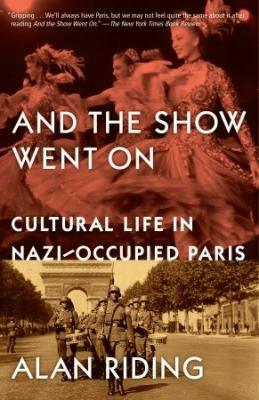 It just goes to show how history and present day life go hand-in-hand in Paris. Maybe that’s why I love it so much. The book ends without clear resolution, offering different versions about what might have happened to all of the friends and enemies from the Chameleon Club. To me, that was the most satisfying ending of all. Because if there is one thing that historians have learned about the aftermath of the Paris Occupation, is that truth and virtue are very slippery things. Kind of like a chameleon. 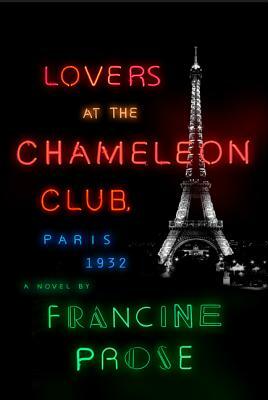 Lovers at the Chameleon Club, Paris 1932 by Francine Prose: Highly recommended. 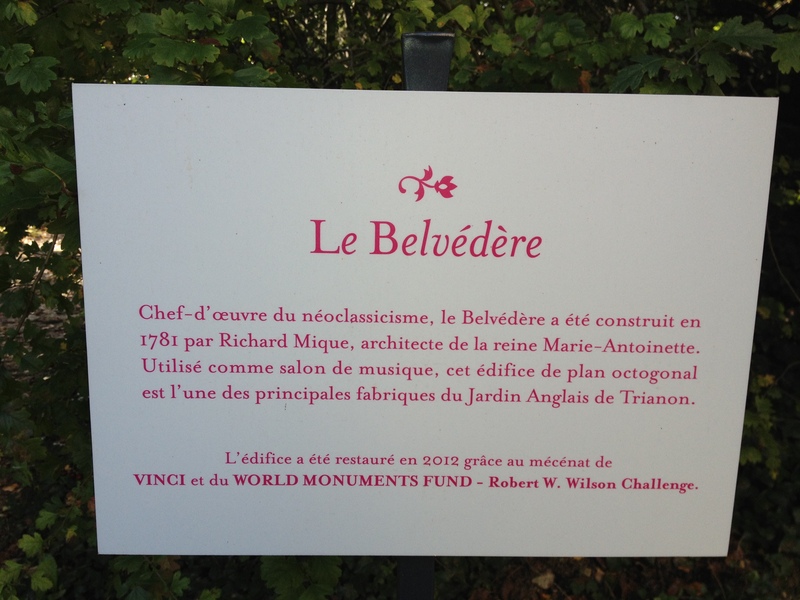 In this blog post I share my own photographs of the plaques and memorials near the site of the old Paris Velodrome (Vel’ d’Hiv’), along with directions on where to find them. 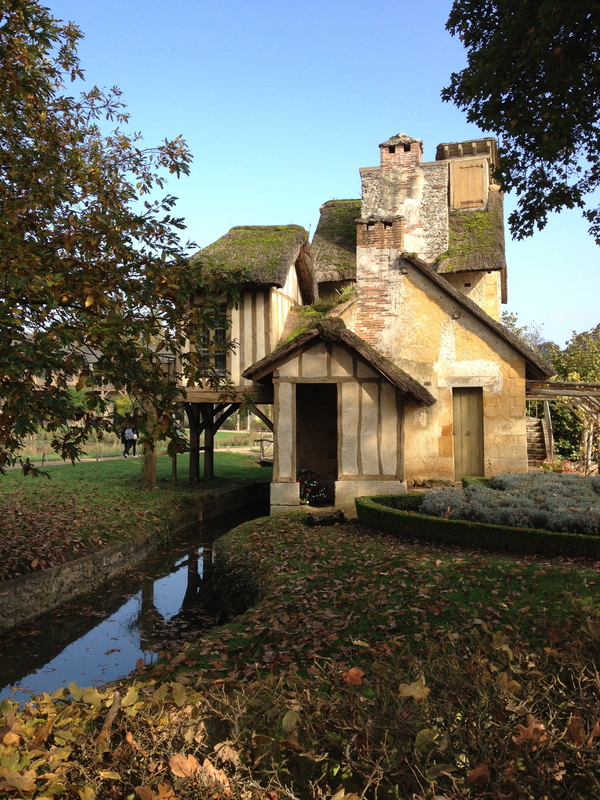 Whether you’ve learned about Marie-Antoinette in history books, novels or movies, you don’t want to miss a trip out to Marie-Antoinette’s Hamlet in Versailles. It deserves its own day on your itinerary. 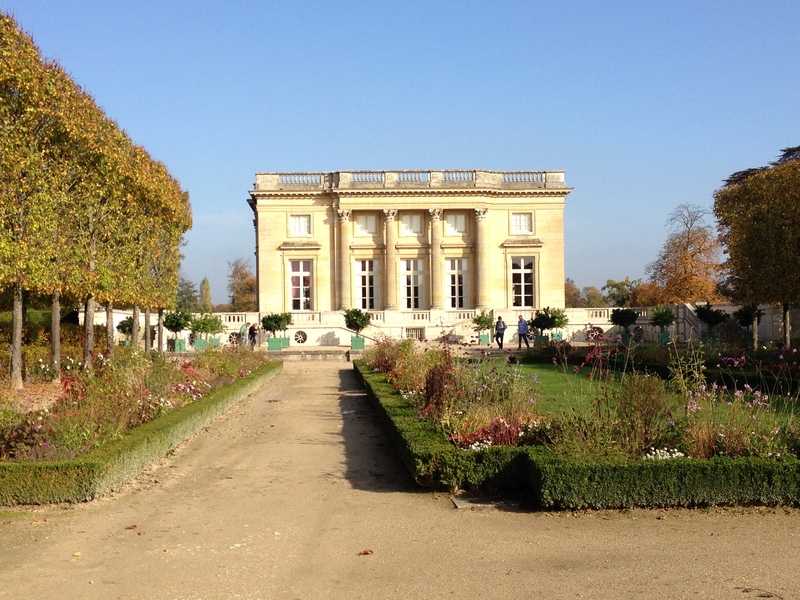 After numerous trips to the main palace of Versailles with friends and family, I finally scheduled an entire day to explore nothing but the grounds of Le Petit Trianon and the Hamlet. Hopefully you can manage to do the same sometime. 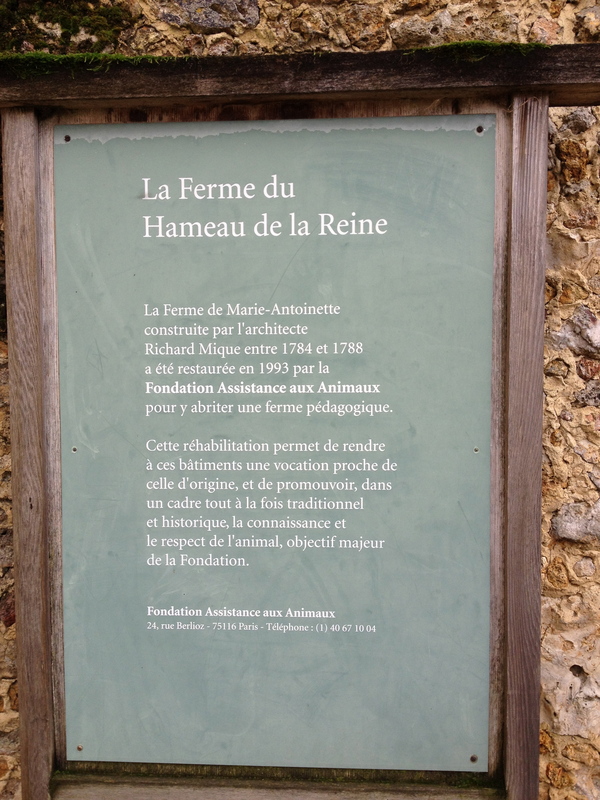 You’ll find plenty of information about the grounds of Le Petit Trianon and the Queen’s Hamlet once you get to Versailles (excellent resources available on the “Marie-Antoinette’s Estate” tab of the Chateau de Versailles website) but it’s fun to know a little scoop ahead of time. 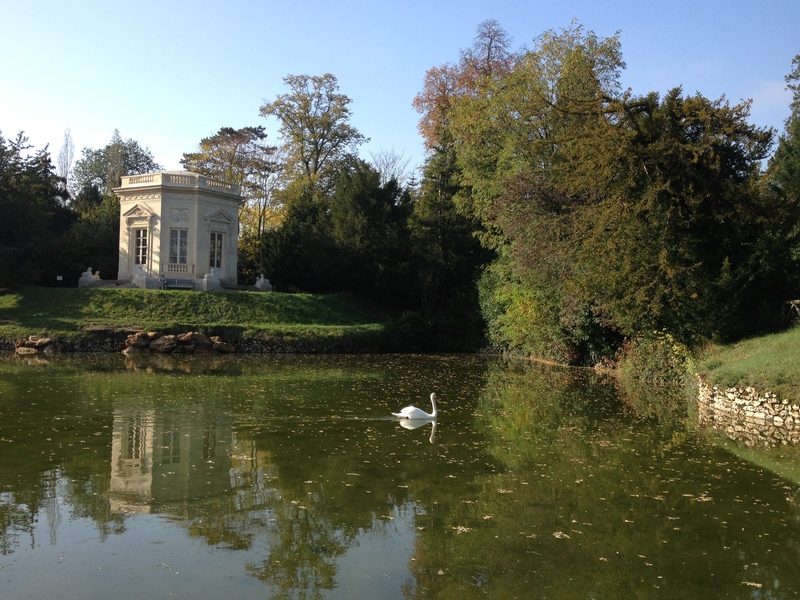 Marie received Le Petit Trianon as a gift from her husband in 1774, when she was only 18 years old, had just been crowned Queen of France, and apparently had yet to consummate the marriage. 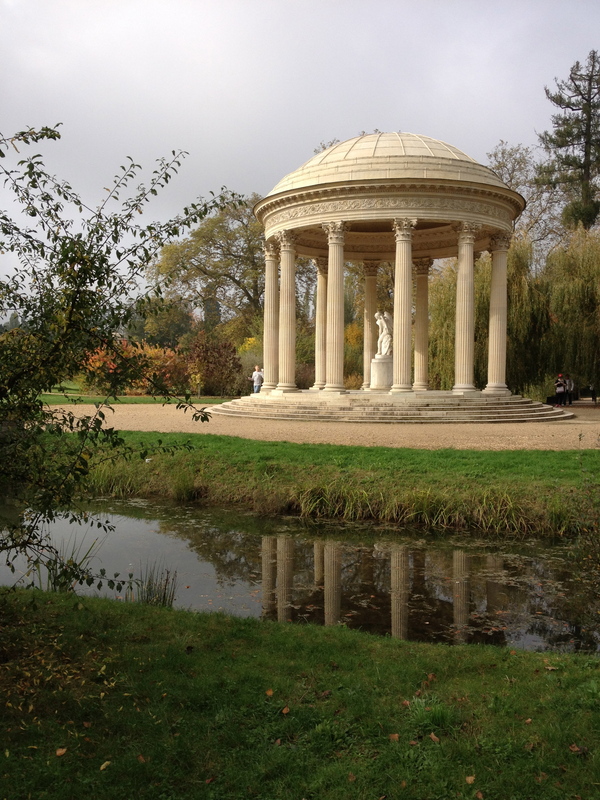 It was a sweet gift, considering it had been built for her father-in-law’s mistress Madame du Pompadour, and then passed along at her death to his next mistress, Madame du Barry. 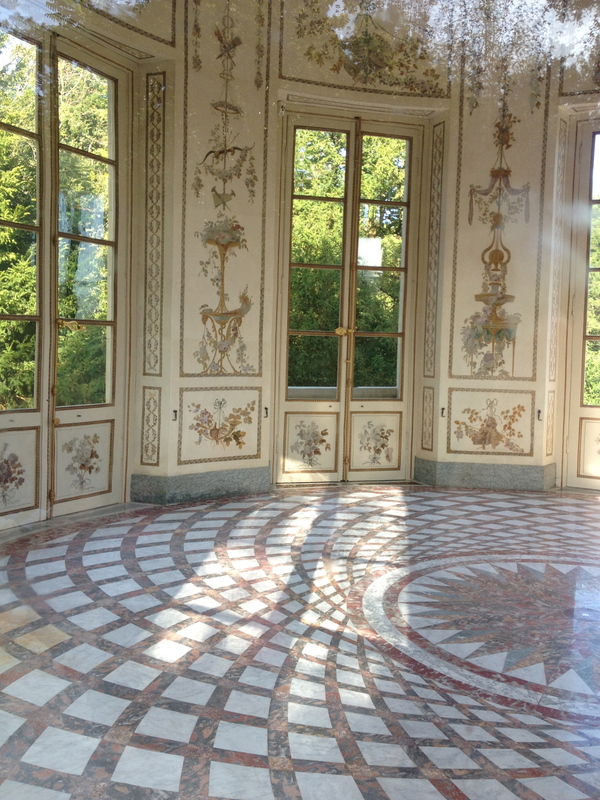 And what does an 18 year-old do with a palace all her own? 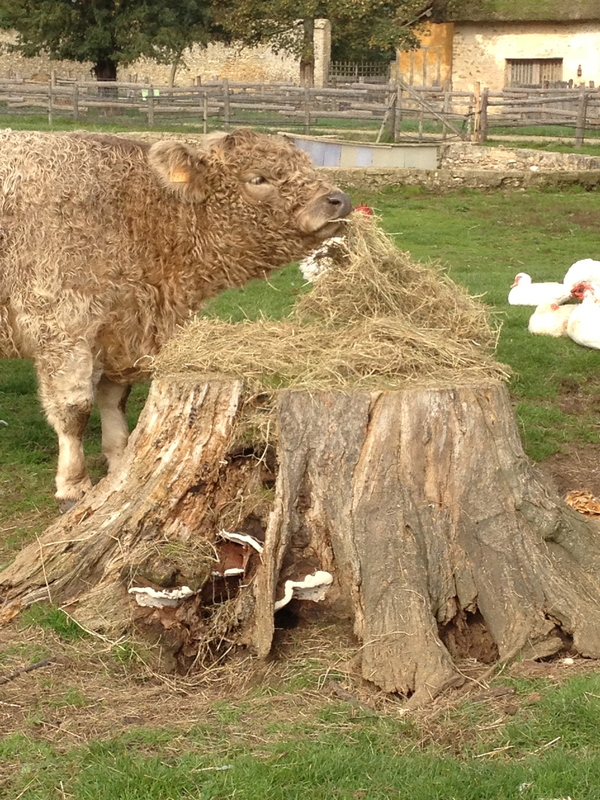 She calls in the royal architects to polish it up a bit. 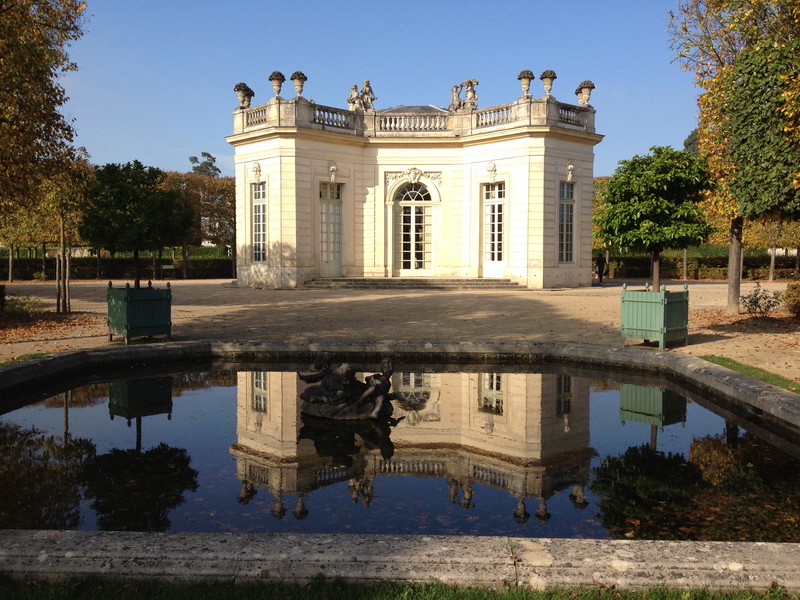 She started with Le Petit Trianon, which was lovely and private, but apparently lacking. 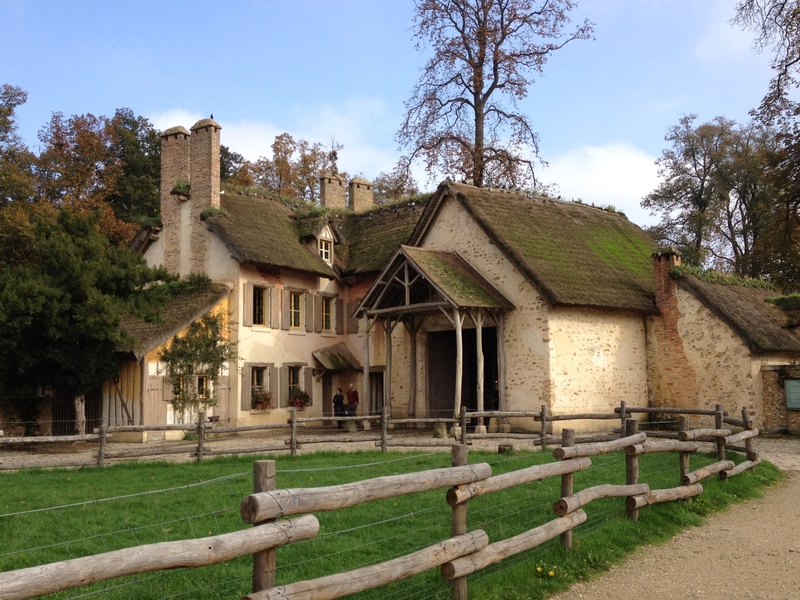 Architect Richard Mique designed Trianon gardens that included paths, hills, streams, a neo-classical Tea Room and Temple of Love, along with a faux farming village called Le Petit Hameau. 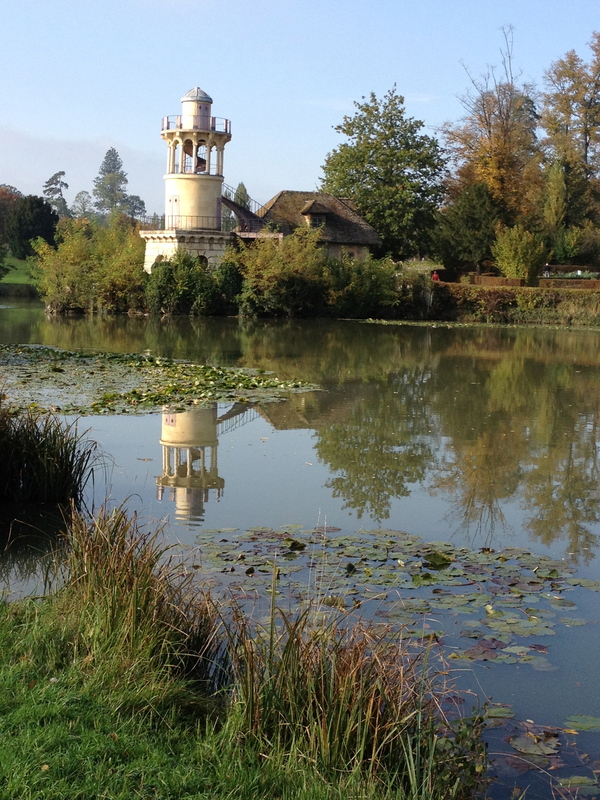 I caught my first glimpse of the the Malborough Tower as I turned a corner on the garden path. I actually gasped out loud. It’s one of those once-in-a-lifetime things. 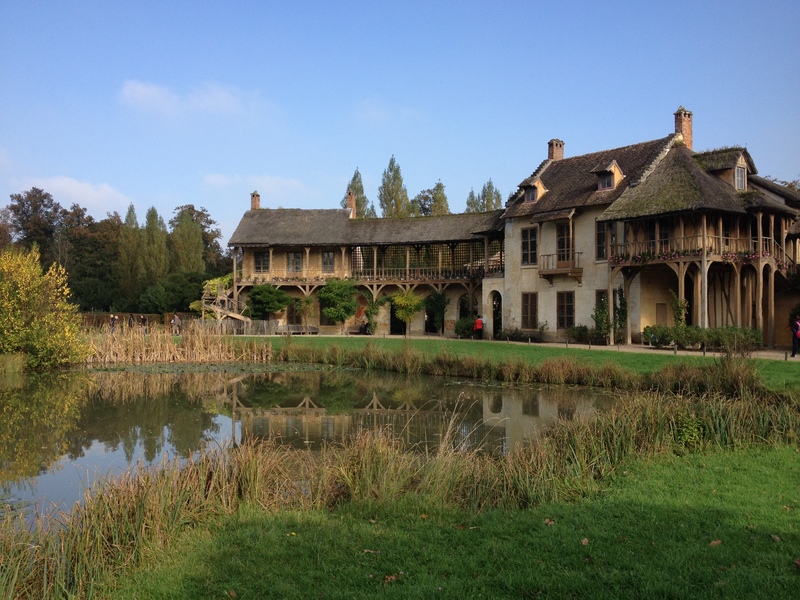 The view of the Queen’s House and the Billiard House from across the pond. Le Boudoir in the background. 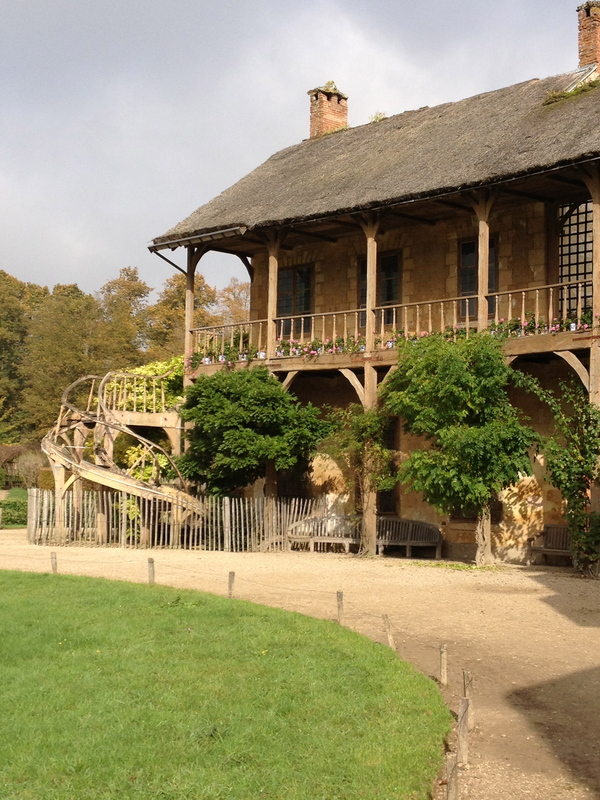 Marie’s extra private little house within the hamlet. 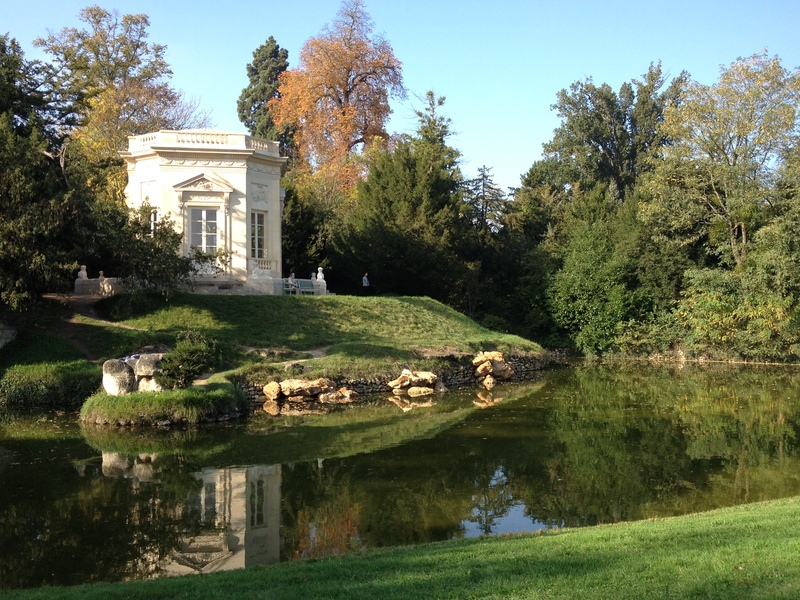 And yet, despite this entire beautiful day in the Queen’s Hamlet, I still managed to miss a few things, including the Queen’s Theater and Jussieu’s Orangerie. So I guess I’ve got to go back. Some things aren’t meant to be just once in a lifetime.